UPDATE: 8.21.14 Relished has expanded and rebranded to become Home Chef. They now offer vegan and veg friendly menus as well…all the more reason to stay home and be lazy instead of grocery shopping! Ooo we are so sick of winter in Chiberia and we’ve had too many days of stir crazy all day pajama pants wearing. This weather sure hasn’t made it easy to get out to grocery shop, let alone put on any real semblance of clothes. Enter Relished Foods to conquer any reason to brave the cold white landscape we now call home. Relished, is a fledgling Chicago area company that delivers fresh ingredients with clear visual instructions to cook healthy delicious meals like a pro. Each order includes three meals for one week. Recipes rotate weekly. Now to the good food stuff! 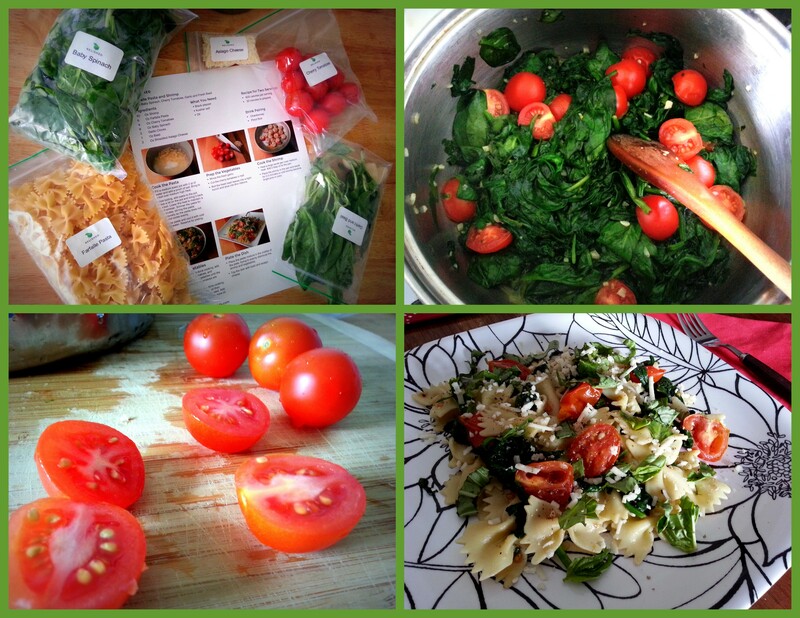 We were hesitant about the Farfalle Pasta recipe which seemed too simple and possibly bland but once we noticed the fresh prepped ingredients and easy instructions our curiosity got us…. 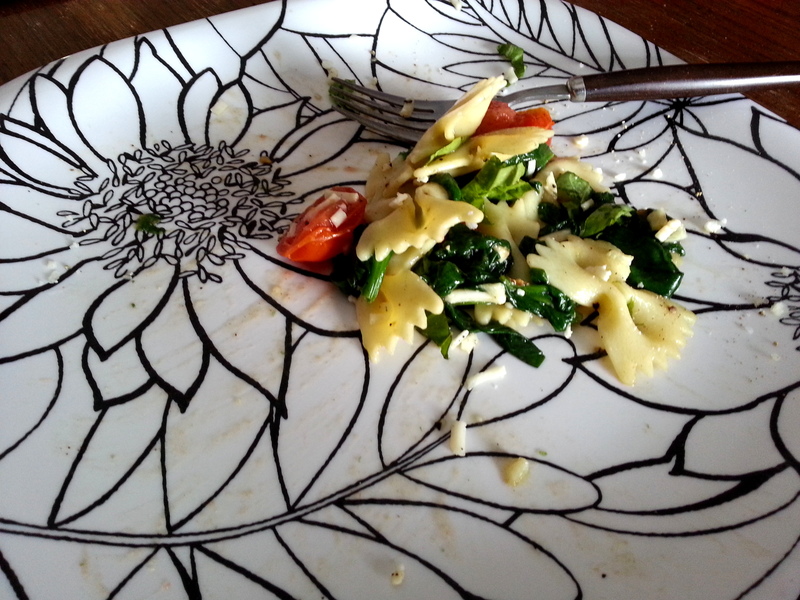 Farfalle Pasta sans Shrimp recipe included fresh baby spinach, basil, plump juicy cherry tomatoes, garlic and asiago cheese. This is how manageable the recipes are. We washed the vegetables, sliced the cherry tomatoes, basil and garlic. Lastly, we added EVOO, sea salt and grounded whole black pepper…so taxing (wink)! Once we took a bite of this dish, we were pleasantly surprised by the flavors. Although simple, the dish was satisfying and complex. 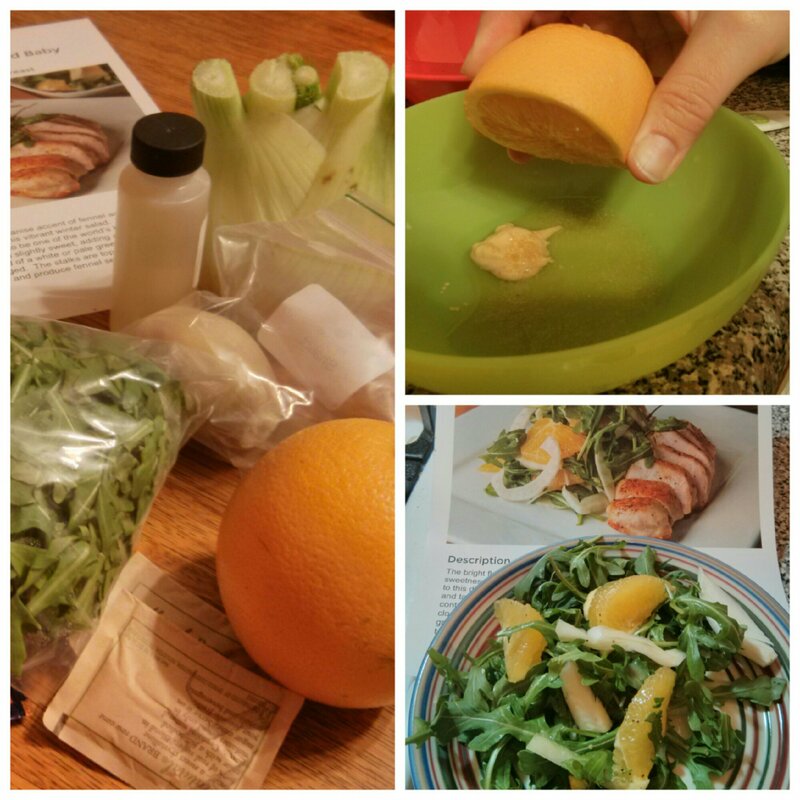 With the arugula, we got to experience some ingredients we don’t usually utilize like fennel, and even champagne vinegar (you fancy, huh). The chicken was lean and still juicy. Relished packaging made it manageable to have one vegetarian and one omnivore eating the same meals as the meats were packaged separately from the veggies. The naan pizza made us giggle in delight because we love artichokes, roasted red peppers and onions. 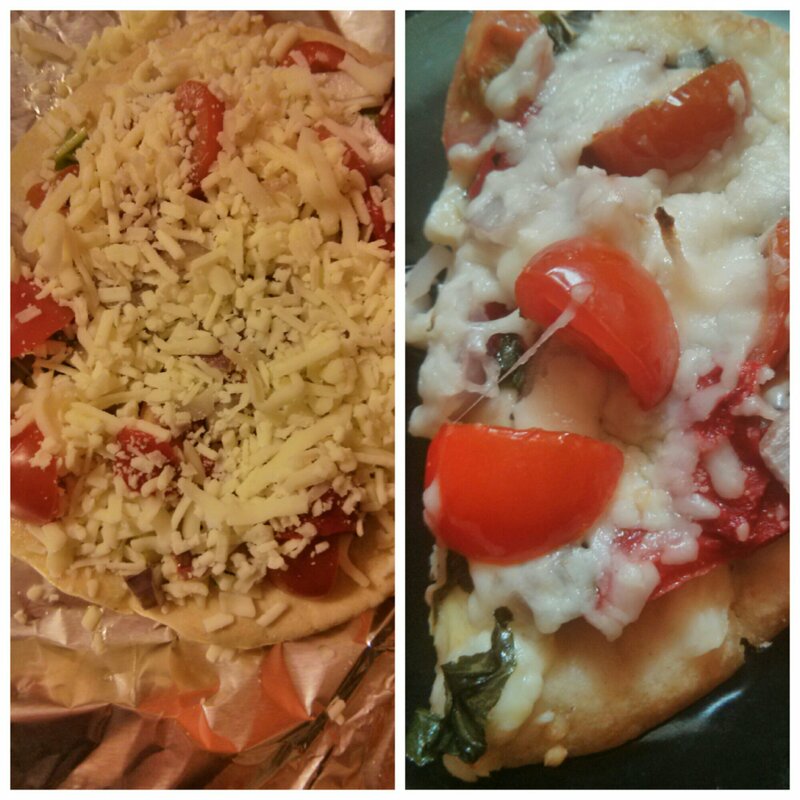 All you had to do was plop the toppings on and bake. The recipe made two 8 inch pizzas. All meals take 30 minutes or less and require minimal cooking skills. 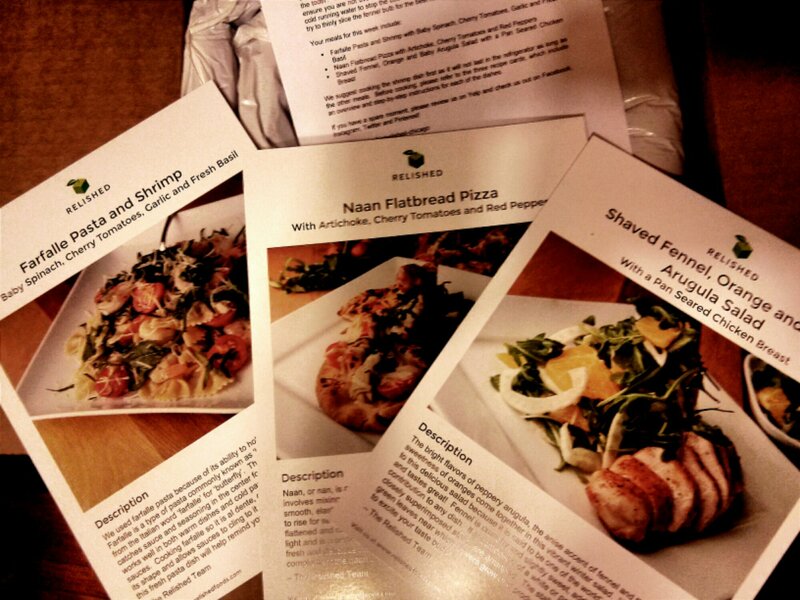 Recipe cards were visually stimulating, well articulated and can be used again! Food came in a space aged cooler box and ingredients stayed fresh until we were ready to cook. Meals cost around $10 a serving. We really appreciated that all meals were veggie heavy, creative and delicious. Relished is only about 6 months in and they have also indicated that they are exploring only veggie/vegan meal options to expand their dietary offerings. Now if only they would send us some hot cocoa to warm things up for us, we be all about staying in for another week or so. Thanks to Relished for inviting us to try such yummy and vegetastic meals!! These recipes look absolutely divine! They were so easy too! !